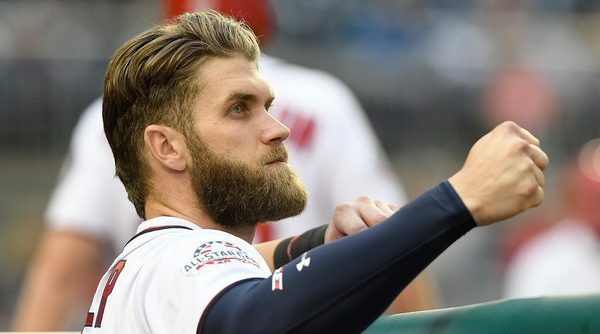 Last weekend, Bryce Harper’s legacy as a Washington National was further cemented, as the Nationals Dream Foundation dedicated Bryce Harper Field in Northwest DC, at the Takoma Community Center. The city was able to open the field with a donation from the Nationals Dream Foundation and Harper himself. The Nationals Dream Foundation plans to donate a field to the community every year, and so far they’ve made good on that promise, with Bryce Harper Field joining Ryan Zimmerman and Ivan “Pudge” Rodriguez Field. The difference with Bryce Harper Field is the one no one wants to talk about. Bryce might not be a Washington National much longer, regardless of how upset I get whenever anyone reminds me of that fact. 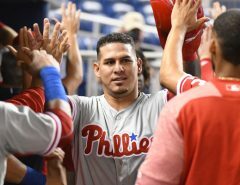 But knowing that even if he leaves us for a new city and franchise, kids will be able to nurture their passion for baseball on a field that bears his name makes me feel a little bit better. 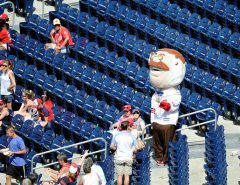 I only gained an awareness of the Nationals as I got older and as the team gained more stars: Strasburg on the mound, and Harper at right field. 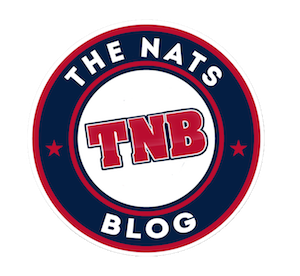 I was a teenager when the Nats started getting really good, and their stars became household names in Washington. I wasn’t a very athletic kid. My relationship with baseball began with the Boston Red Sox and their ‘04 and ‘07 championship wins. I remember watching the game with my fifth-grade classmates in silence at a Halloween party, eyes glued to the screen, afraid that any noise or movement would cost them the game. I wish I’d been a young kid, instead, and that my formative memories of baseball were of Zimmerman, Desmond, Scherzer, and Harper. I certainly wish I’d joined my brother on a little league team and learned to play the sport as a child, rather than a brief stint on the softball team in eighth grade (I was a slugger, but I couldn’t throw to save my life). I can’t turn back time, but I can be grateful that the kids at Takoma Park get to learn about baseball on Bryce Harper field, and have a player with such skill and passion to look up to. 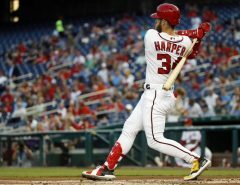 Harper has already given our city an incredible gift by playing here. Last Saturday, he gave us another. I can only hope that he’ll be here long enough to catch some games at his field.